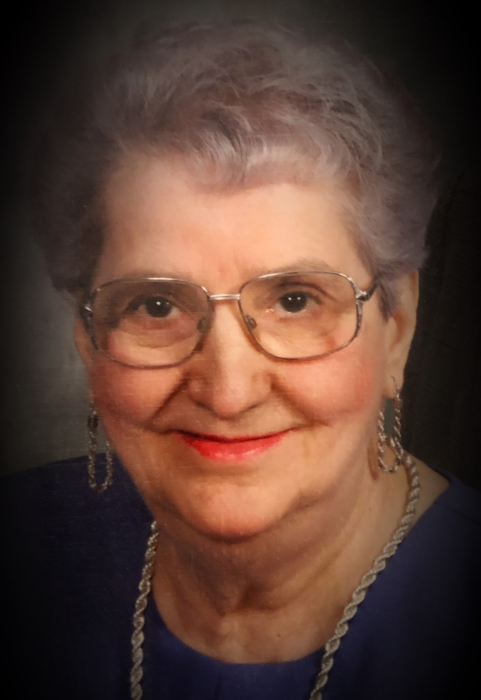 Josephene Elizabeth “Betty” Marie Conrad passed away on November 19, 2018 at the Portage Hospital at the age of 96. Betty was born on November 19, 1922 to Jean and Alphonsine Boulet (nee Pelchat), at home on the farm near Dunrea Manitoba. She was the youngest of 13. All of her brothers and sisters, are now deceased except her sister Claire Pinvidic residing in Tecumseh Michigan. Elizabeth married Lorenzo Conrad on November 11, 1944 in Dunrea Manitoba. In the first few years of their marriage, Lorenzo and Betty rented a farm near Glenora Manitoba, but returned in October 1947 to the Conrad family farm where they remained for 16 years. During that time they had one son Roger. In the fall 1963, the farm was sold and the family moved to Portage la Prairie, first to a farm for one year, then into town on Nov 1st 1964. They often travelled to Winnipeg, Brandon and Glenora to visit family and friends. In retirement Lorenzo and Betty loved to attend auctions and garage sales, and of course tending to their garden. Although Mom loved sewing, her favourite hobby was gardening and from the earliest times had a very large vegetable garden. Both summer and fall were spent canning, freezing and preserving vegetables and fruit to be enjoyed by many. She was a farm girl living in the city, still baking bread and homemade pies, cakes, tarts and cookies weekly! No one went hungry at Bettys house. She was known to have a sweet tooth. Betty was an avid card player and could not resist a good game of crib. Even with her failing sight she continued to play crib right up to her passing. Left to cherish her memory are her son Roger (Carol) of Brandon Manitoba; her granddaughter Angela (Michael), great grandchildren Gavin, Greysen, Addison and Gabrielle White of Stonewall Manitoba; grandson Martyn of Jasper Alberta, and granddaughter Jennifer (Cory Campbell) of Alexander Manitoba, great grandchild Emily Campbell. Mass of Christian Burial will take place at Good Shepherd Roman Catholic Church in Portage la Prairie on Saturday, November 24, 2018 at 11:00 am with interment to follow at Evergreen Memorial Gardens. If friends so wish, donations in memory of Betty may be made to a charity of your choice.